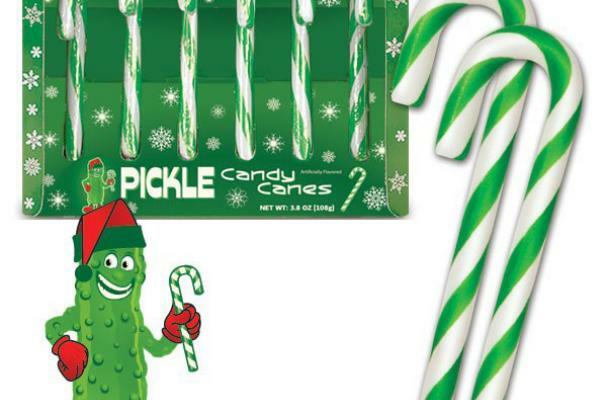 Pickle Candy Canes are a dill-cious treat and according to its makers, a "briny surprise." The candy cane is made to taste like the vinegar cucumbers and come in six per box. For another unusually flavored caned confection, check out these bacon candy canes.